A new baby is a bundle of joy — but also a bundle of expenses! From doctor's expenses to clothes to formula to furniture, having a baby is expensive. Luckily, you don't have to skip on an adorable nursery just because you're on a budget. 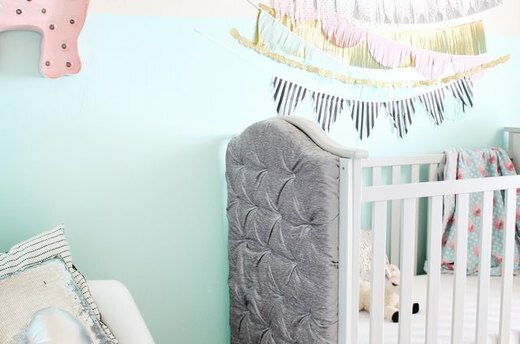 You can use these easy DIYs to decorate the nursery of your dreams without breaking the bank. A tufted crib at the furniture store could cost over $1,500! You can make your own version for just $300 (including the crib!) with materials you can find at your local hardware store. Add a little color to your child's toy collection by using paint and tape to decorate their building blocks. You can even paint them in the same palette as the nursery and use them as decor until they are old enough to play with them. 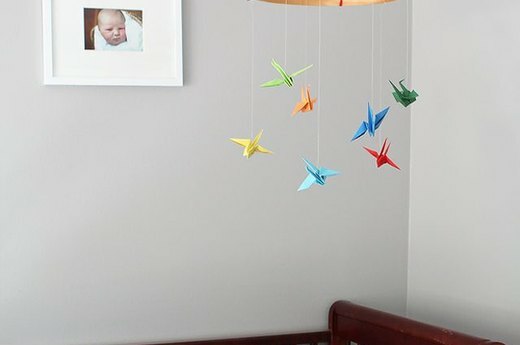 If you have an hour, you can make this beautiful paper crane mobile to add a special, personal touch to your baby's nursery. All you need is a knitting hoop, ribbon and origami paper. 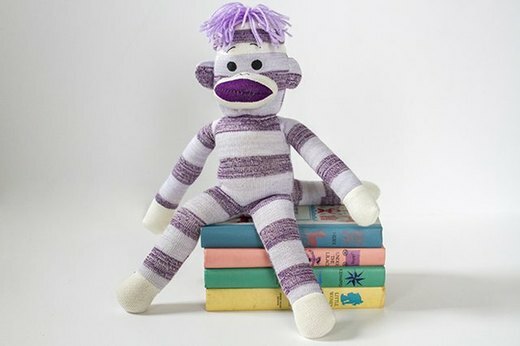 Did you save your favorite stuffed animal to pass on to your child? 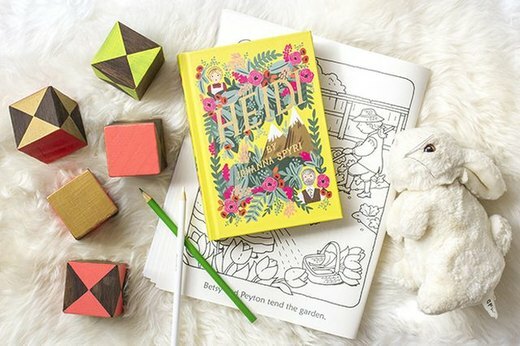 Turn it into a custom bookend and use it to decorate the new nursery. It will give the room a touch of nostalgia that you'll love every time you walk in! Tassels are seriously trending right now. 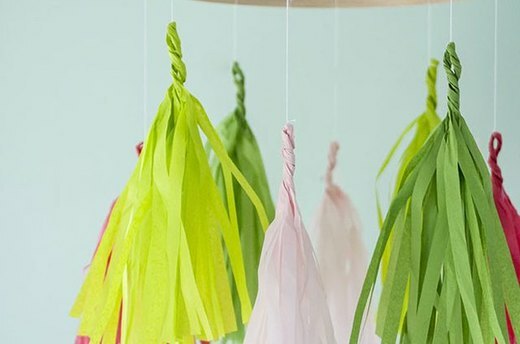 Add an easy pop of color and texture to your nursery by creating your own super-hip tassel mobile. The best part is that you can make one in whichever colors you want! Did you find a large stuffed animal that you would love to turn into a rocker for your child? Use it to restore an old thrift store rocker into a trendy plush rocker for one-third of the price of the ones at expensive furniture stores. 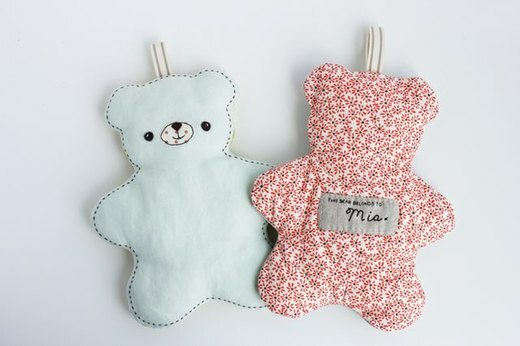 If you're looking for a cute toy that doubles as an adorable addition to your nursery decor, try making this plush customizable bear. 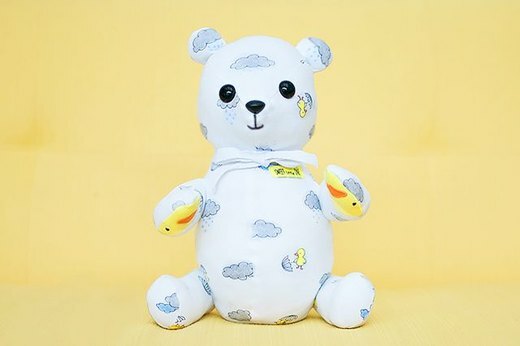 All it takes is an easy sewing pattern, and once you write the baby's name on the bear, you have a one-of-a-kind toy or decoration. Art can be expensive! 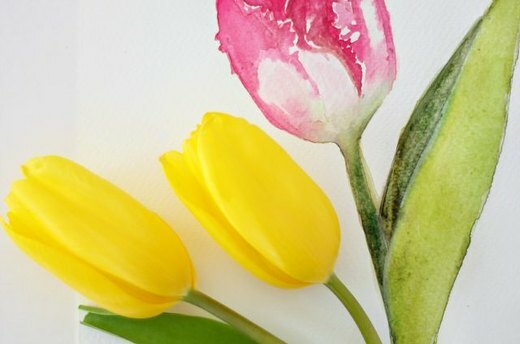 DIY your own by painting a tulip in watercolor. You'll need a live tulip to reference, so it's a great excuse to buy a bouquet of flowers. 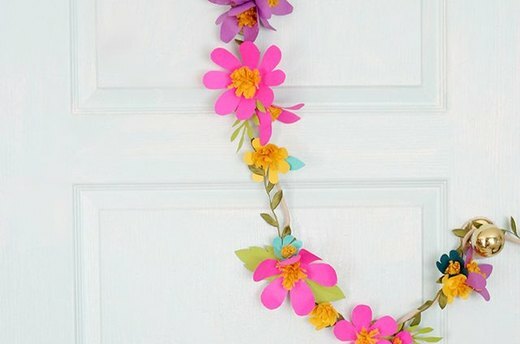 Hanging a paper flower garland is an elegant way to decorate your new baby's nursery. It's the perfect way to add whimsy and color to a blank wall. Babies and children grow out of clothes fast — and sometimes you want to keep those clothes as memento pieces. Instead of donating them, give them a new life by turning them into your child's new favorite stuffed animal. Upcycle a worn-but-much-loved book into a beautiful book-page banner. 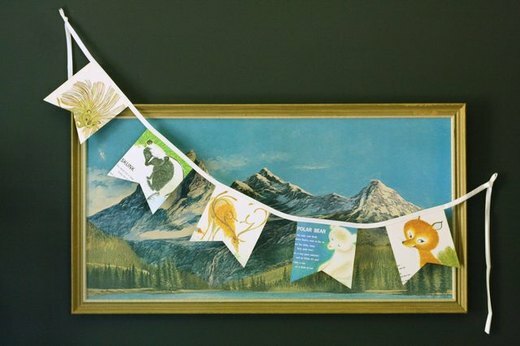 This is an easy way to give your child's nursery a theme from your favorite storybook.